It was, er, quite a killing. That is the correct term, isn’t it? 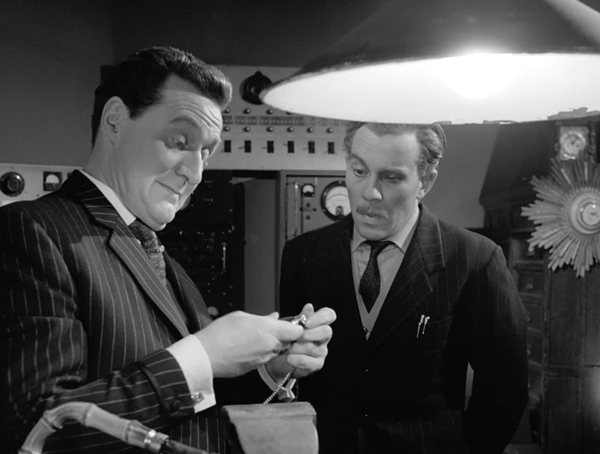 Dial a Deadly Number features a number of memorable scenes and abundant witty dialogue, as well as a return by the then-in-everything Peter Bowles, but despite strong direction from series stalwart Don Leaver, it’s difficult to care very much about who’s doing what to whom in Roger Marshall’s teleplay. The title suggests something Hitchockian, but the reality is more mundane, revolving around the then very contemporary, nay futuristic, use of bleepers, and their corruptibility as a means of murdering company CEOs. That there needs to be a means of conveying the signal to the victim (in whom a heart attack is triggered) leads to a Steed sporting a Chekov’s Pocket Watch, not hitherto known for carrying one; it was bequeathed by an uncle and dented in the battle of the Somme (“German Bullet?” asks Emma. 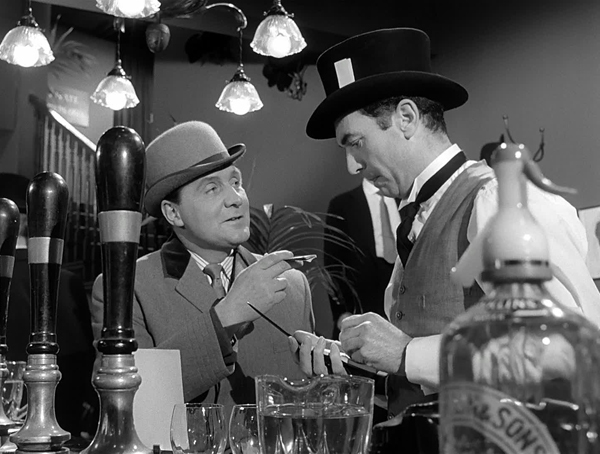 “Canadian mule” replies Steed). 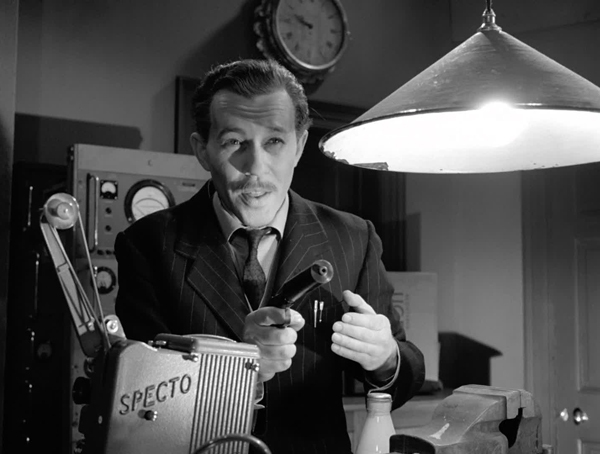 Its presence needs to be established in order for it to become a vessel for the signal implanted in a similar item by Fitch (John Carson, Ambril in Snakedance, and also previously in the series in A Chorus of Frogs and Second Sight). 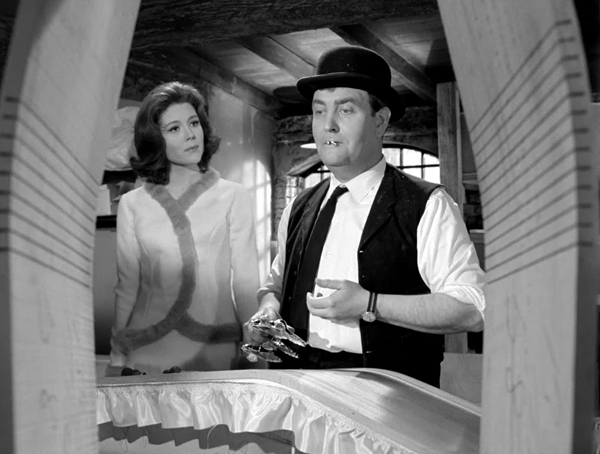 Fitch is perhaps the most memorable villain here, particularly in his desire to do for Emma (“I shall kill you with scientific tenderness, Mrs Peel”). Dissolute.com clearly got excited by this scene, as its plot synopsis describes how he “unzips part of her catsuit and touches her milky breast”. Steady! 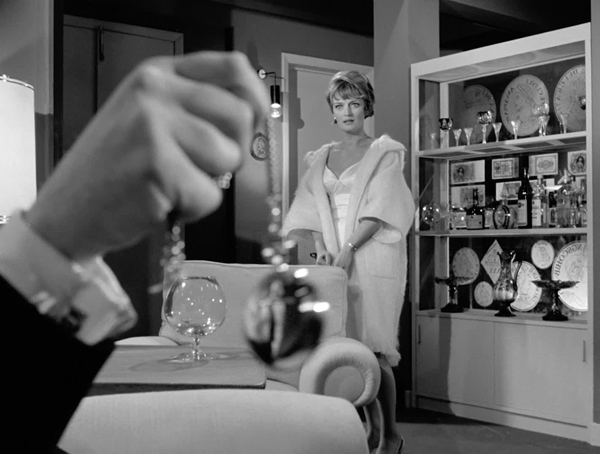 He’s also part of the second-best scene in the episode, in which Steed arrives, ostensibly unable to open his watch and calling on Fitch’s skills to do so (“Having trouble with my watch… The button’s stuck”) as the latter flees across the room in panic at his prospectively imminent demise. 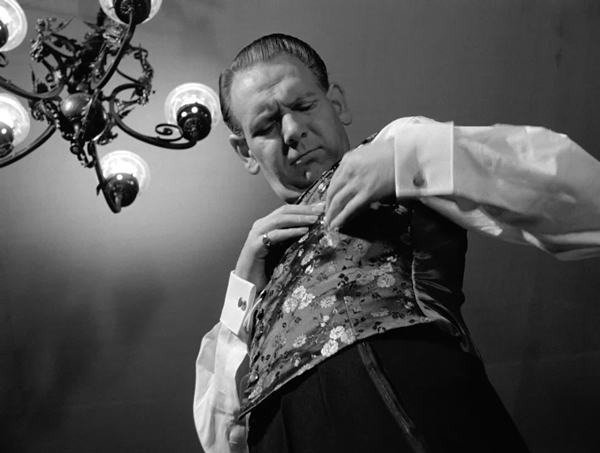 Harvey: There are two occasions in life when one shouldn’t speculate. When one can afford it, and when one can’t. 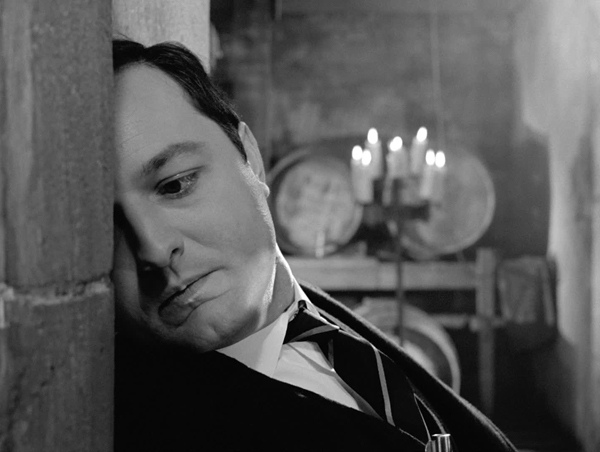 Steed: Thanks for the advice. Harvey: Not mine, Mark Twain. 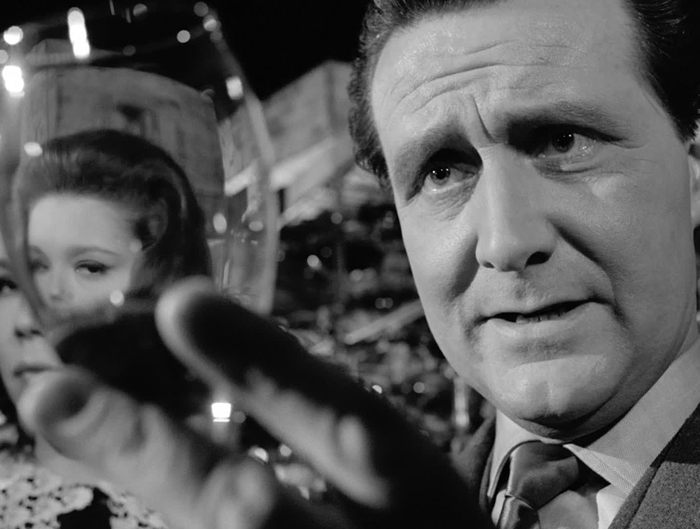 The best sequence involves wine, however, albeit this aspect isn’t as well-integrated into the plot as in The Secrets Broker (and it wasn’t well integrated there at all, but at least it was a consistent thread). Steed is inveigling himself into the world of stock market investments (the chairmen who died all saw share prices plunge in the aftermath, with a banker in common, although it is his lackey John Harvey (Bowles), rather than Clifford Evans’ Henry Boardman, who is the ringleader), and their elitist methods finds him called upon to partake in the delicate art of wine tasting. 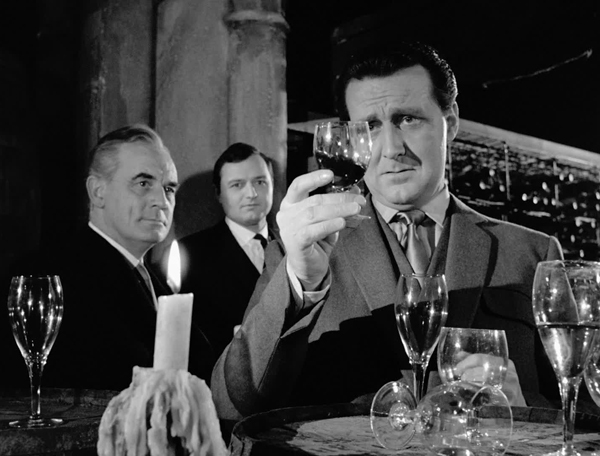 Shot by Leaver in the manner of a western gunfight, Steed and Boardman stand at opposite ends of the cellar giving their take on the plonk in question. Boardman identifies his Latour ’59 immediately (“A hit, a palpable hit”), while Steed takes his time honing his options, before picking a “Chateau Laffite-Rothschild…1909, from the northern end of the vineyard” (Steed may not pass his IQ tests, but he knows his drink). 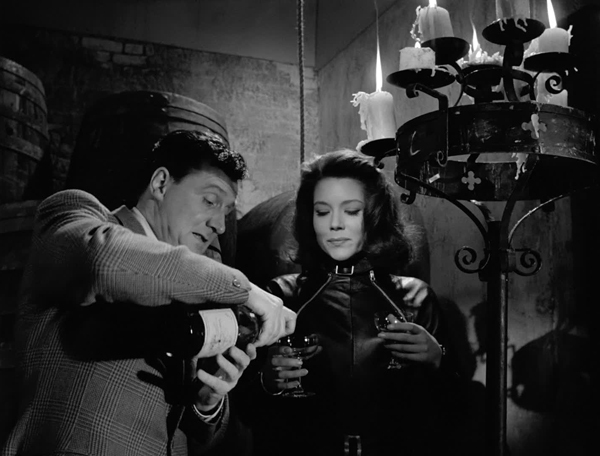 There’s more cellar action at the climax as Steed emerges from behind a barrel and announces “I just couldn’t stay away. It’s that Chateau Rothschild”. This extends into the alcohol-fuelled coda, with Emma guessing the wine in a manner we could all see coming (“Nose or palette?”: “I read the label”). Ruth Boardman: I have an appointment with my hairdresser. Bowles is on good form as John Harvey, but as with Second Sight, he’s making more of the material than he has on paper. 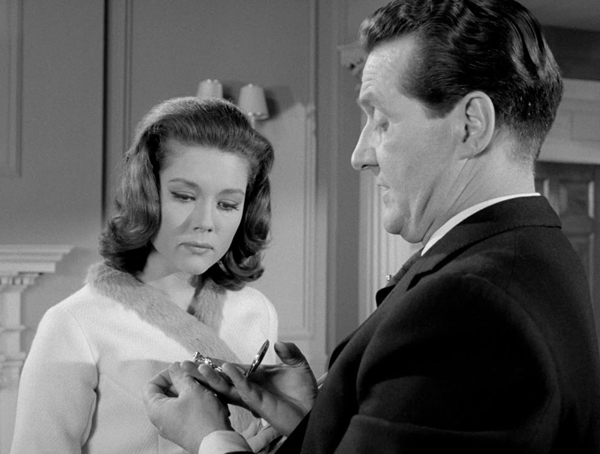 Jan Holden (previously of The Undertakers) is strong as Boardman’s promiscuous missus (“A true gentleman doesn’t know of a lady’s promiscuity” chides Emma when Steed confesses his suspicions). Steed: What’s the Club Special when it’s at home? Waiter: Oh, that’s one layer of delicious prawns, one of egg mayonnaise and lightly toasted rye bread. I can recommend it, sir. 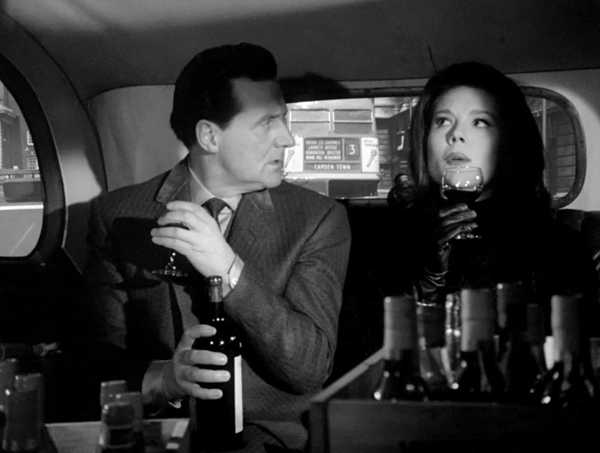 Steed: Splendid, at least one of us will enjoy it. 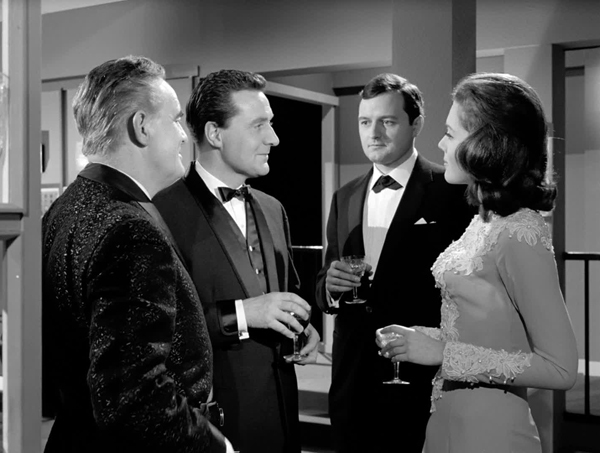 Steed’s ever playing up the sly dog (“Oh, Mr Steed” replies Suzanne – Tina Packer, Anne Travers in The Web of Fear – when he emphasises studying round figures). 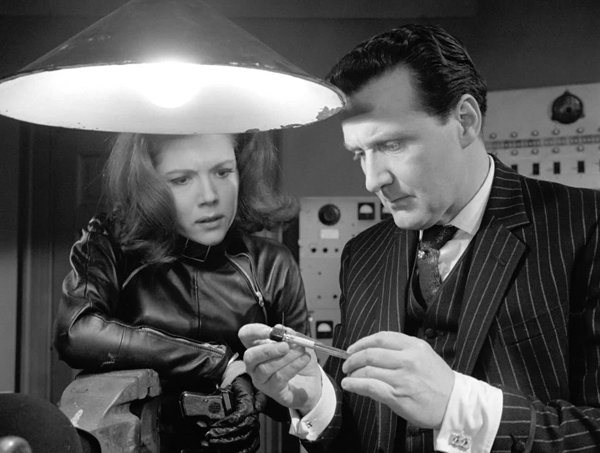 He’s subject to a decent assassination attempt by bikers in an underground carpark and shows wanton disregard for Mrs Peel’s cover when he greets her at the bank (she professes to be from Barbados and he remarks upon the absence of a tan). And then there's his wonderful menu put-down (above). 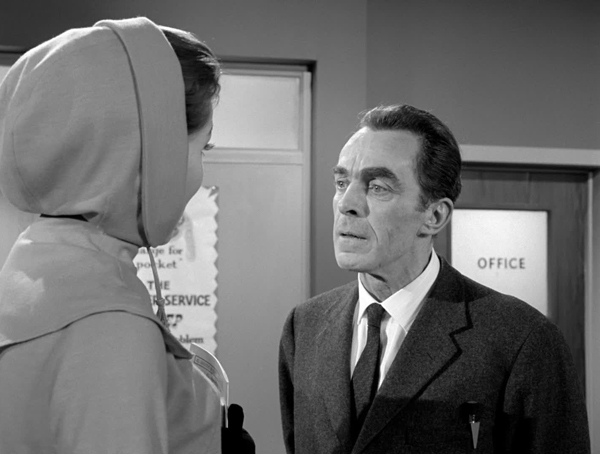 Most of the episode plays well in individual increments, then, but it falls down somewhat in conveying a compelling plot. 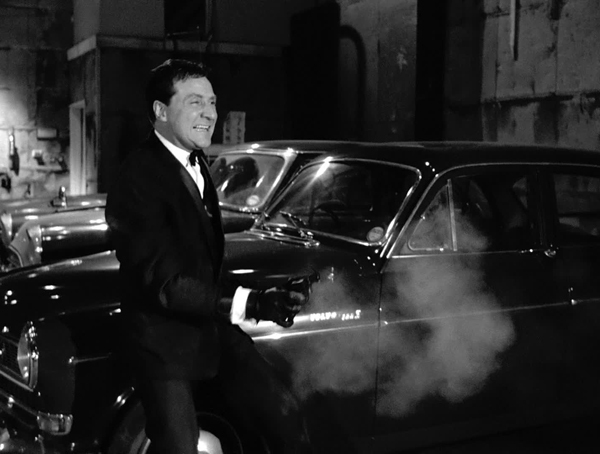 Ladies and gentlemen, Audrey’s dance. I added sixty on, and now you’re a genius. You need to watch out for run-on sentences. So you made contact with the French operative? Now you're here, you must certainly stay. I fear I’ve snapped his Gregory. Life’s not all cupcakes and rainbows. You're the best driver in the entire universe. It’s a goddam bad story, isn’t it, Hawk?